In honor of Israel’s 70th anniversary in April 2018, To Life: How Israeli Volunteers Are Changing the World highlights Israeli humanitarian work around the world. To Life is the story of the Israel you won’t see in the news. In keeping with the Jewish tradition of tikkun olam ("repairing the world"), Israel has been at the forefront of humanitarian and disaster relief work since the 1950s, less than a decade after becoming a nation. Since then, the Jewish state has provided humanitarian aid to millions of people in 140 countries around the world. 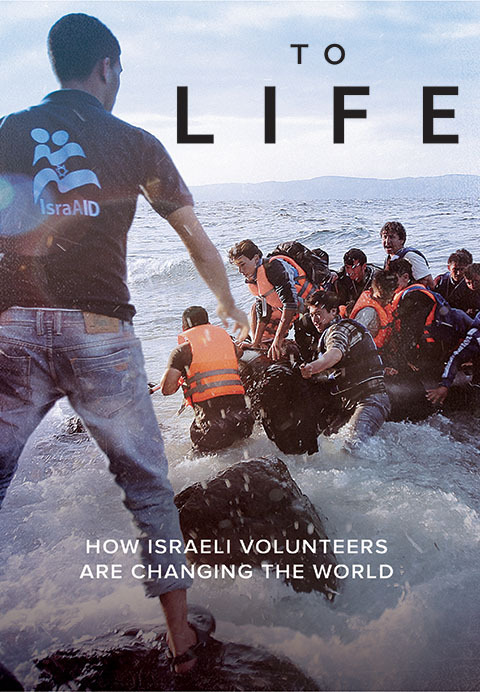 To Life follows Israeli volunteers in Uganda, Nepal, Greece, Kurdistan and the Palestinian territories to find out how and why, with so many security challenges of their own, they reach out so effectively to developing nations.